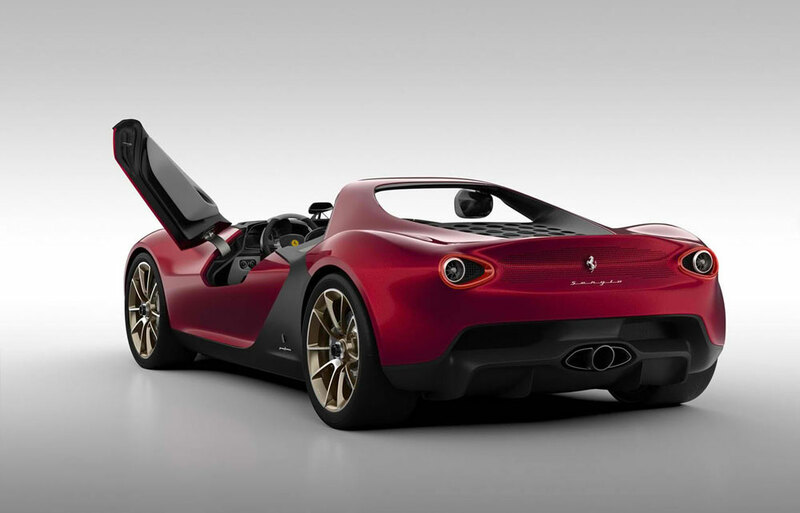 Developed on a Ferrari-458-Italia chassis, the Sergio concept combines clear and simple styling with the front fascia featuring a semi-floating appendage under the spoiler exudes an attractive flair for the dramatics. 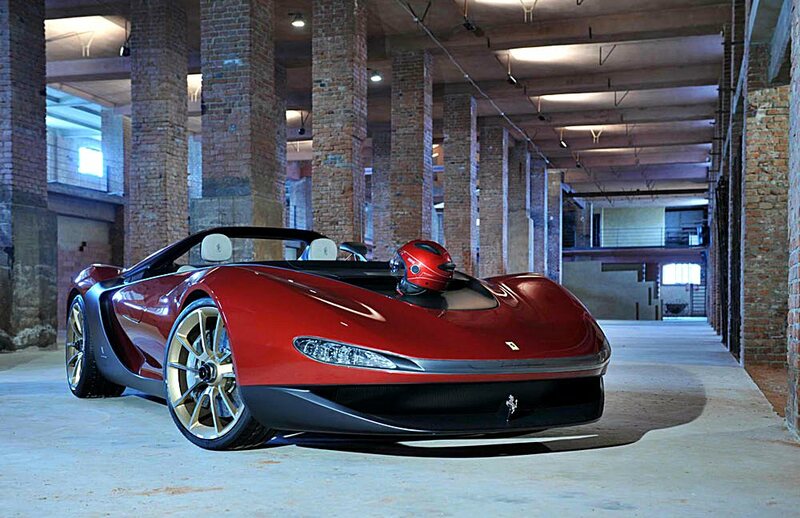 The Sergio concept does not have a windscreen, meaning that the 2 occupants may have to use helmets provided. The 2013 Sergio uses a 4.5L V8 drive train, connected to a sequential 7-speed transmission. The combination allows the car to sprint from a standstill of 62 mph in 3.4 seconds and reach a top speed of 199 mph. The engine produces an impressive 570 horsepower at 9,000 rpm. At the rear, you will notice the lights are reminiscent of the rounded style of Pininfarina-Ferrari tradition. 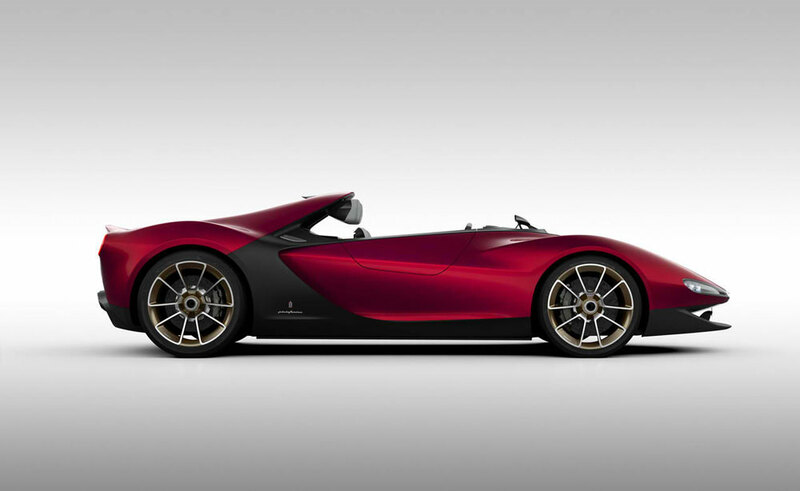 It is expected the Sergio will come in a crimson shade inspired by Dino Berlinetta Speciale's original red. Other exterior features include: an aerodynamic deflector located near the cockpit and a new front spoiler. 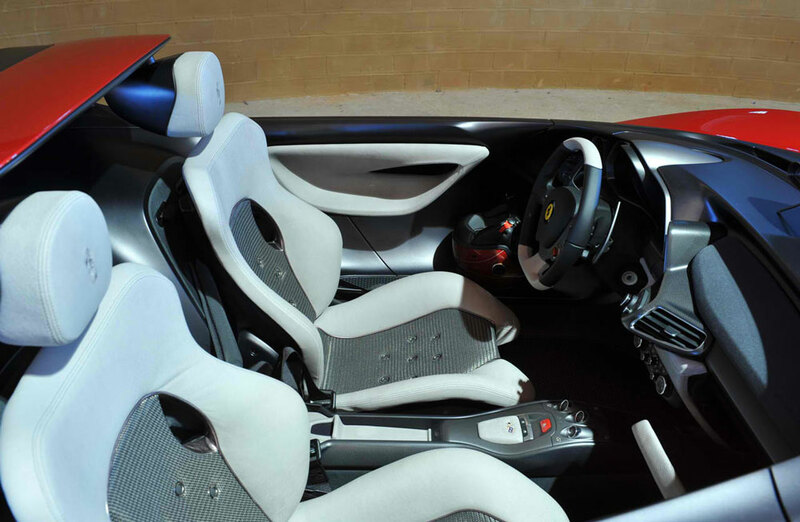 For this concept car, Sergio completely re-organized the Ferrari 458 spider and maintained its original performance and technology. In turn, the interior comprises of all functional features of the existing series including the seating, steering wheel, center console and the dashboard. The functional and essential interior provides comfort and safety especially due to the lack of a windscreen. The engine bonnet flows into the interior, wrapping around the rear of the seats. One of the key features is the suspended, aerodynamic headrest that has been linked to the roll bar instead of the seats' body. Two helmets are provided in a small bay along the door panel. The helmets are customized with the color of the car's body. The 2013 Pininfarina Sergio Concept offers true sports-performance with torsion firmness that exceeds the one on the original Ferrari spider. Since the overall body weight has been trimmed down by about 150 kg, the car does offer give you great handling and improved acceleration.